All he needs is the music and a Twitter account. 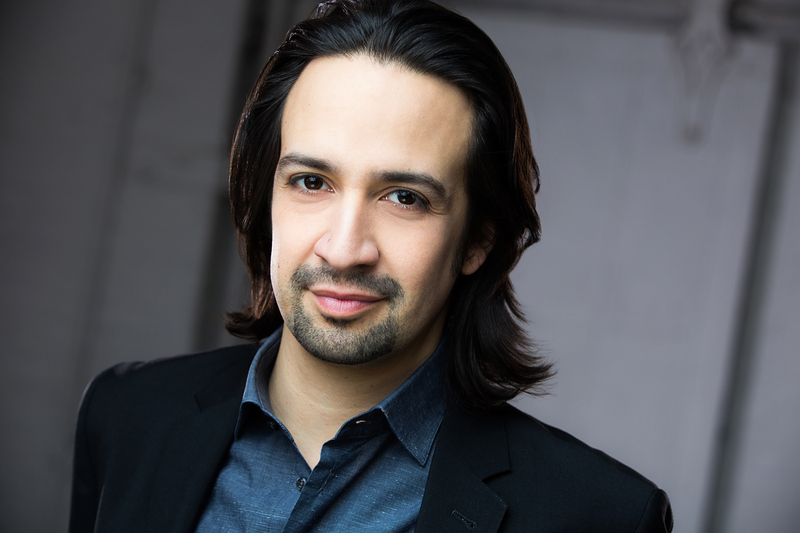 Lin-Manuel Miranda. The man who has three-quarters of an EGOT. The man who wrote one of the most famous musicals of all time. The man who broke Tony Award history this past summer. The man who loves his beauty rest. 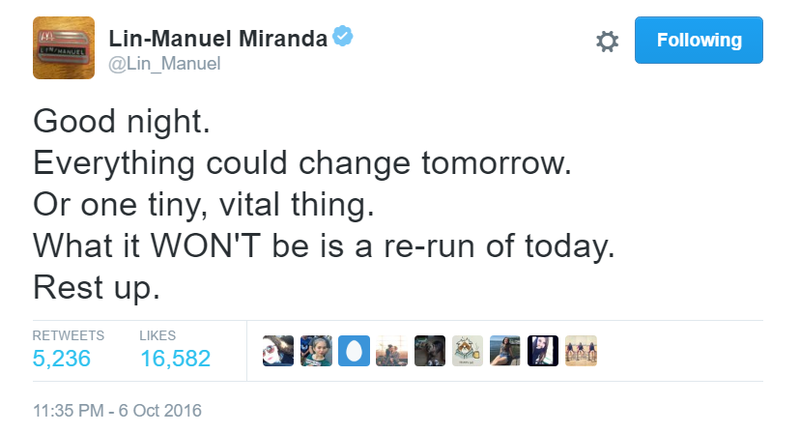 How can a man be so inspiring in only 140 characters? 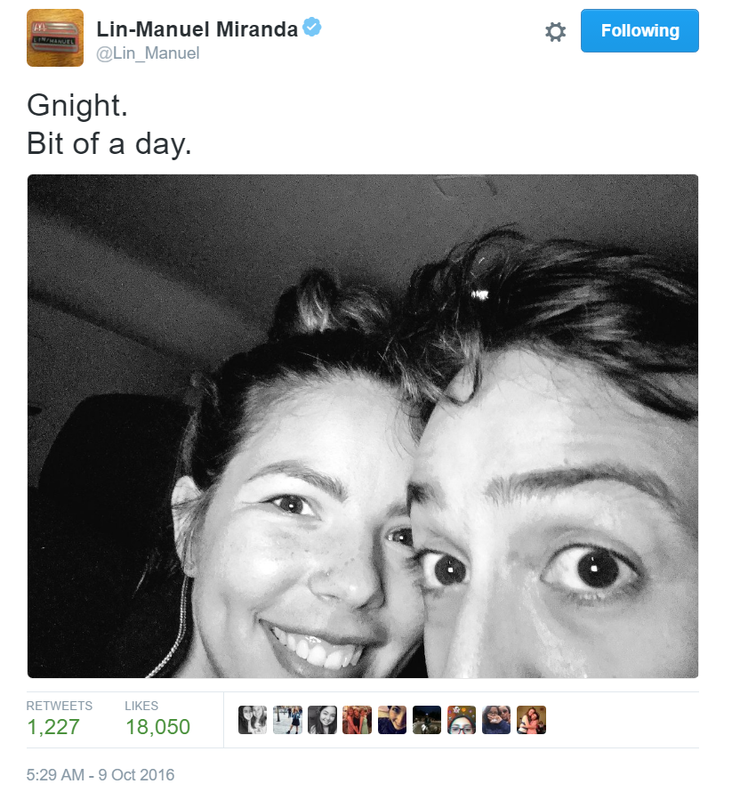 Here are the best of Lin-Manuel Miranda's goodnight tweets. He always reminds us of our worth, which is a perfect pre-sleep reminder. The most gracious guy on the planet. He never forgets how lucky he is to be alive right now. Sometimes all it takes is that little bit of reassurance that you did a good job today. 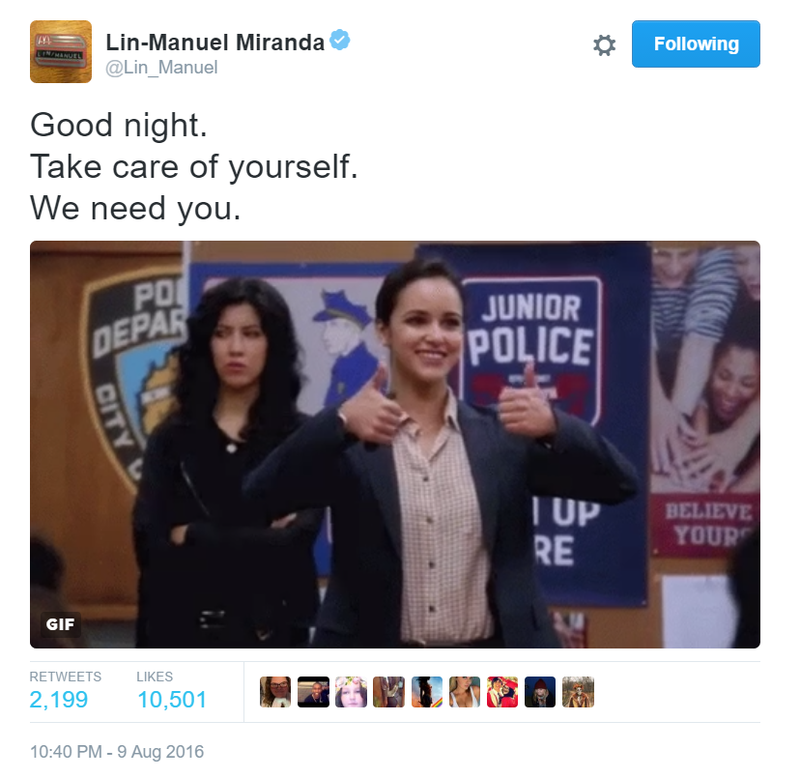 And Lin is always there to tell you that. Again with that gratitude. It's such an amazing thing to read right before bed. He works hard, he sleeps hard. And even when he's working hard, he still reminds us to love. 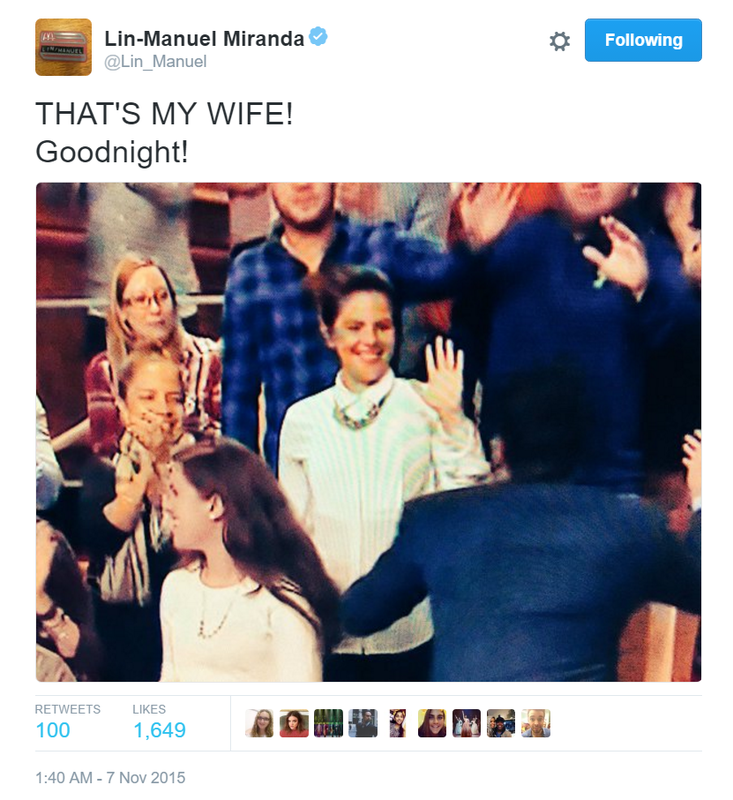 I hope so too, Lin. I hope so too. 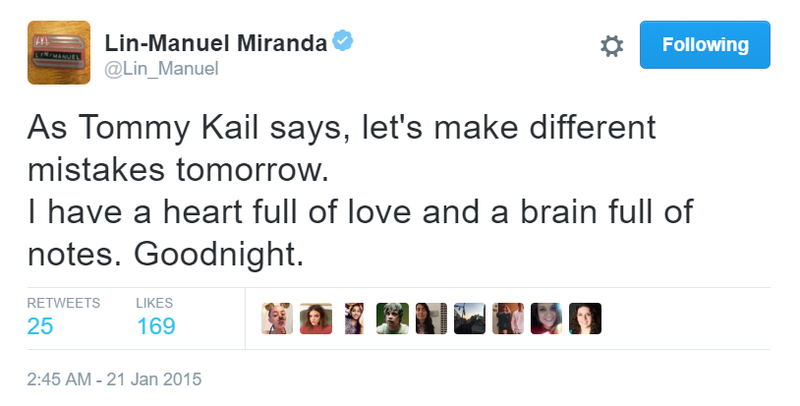 Coming off of his childhood dream of hosting Saturday Night Live and he doesn't even brag in his final goodnight tweet. 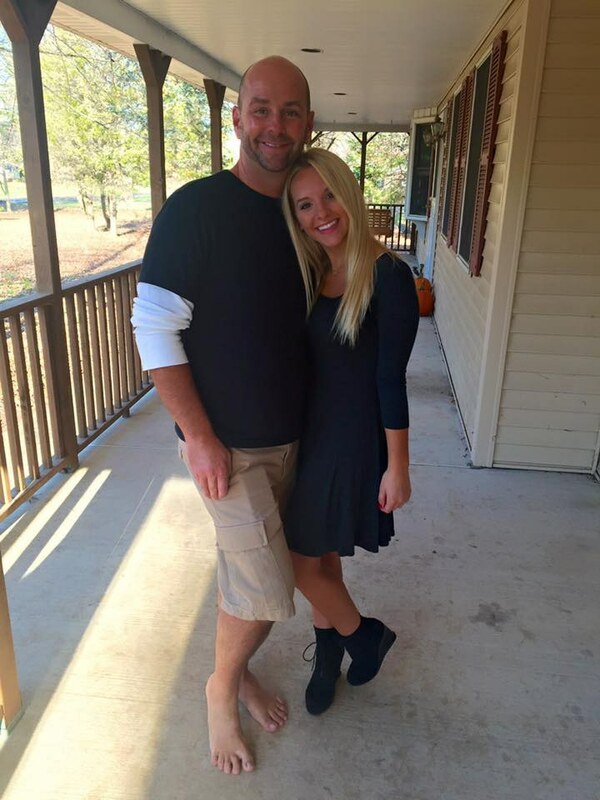 Also, look at how he shows off his wife. Reminding us that nothing is promised and every night is a chance to recharge. His wife is the last thing he talks about before sleeping, inspiration for all of our relationships. Reminding us to be unafraid, but still be rested for new adventures. You earned it. You worked hard. Hamilton rehearsal days. Even on hard, long days of working that don't end until 1 a.m., he inspires all of us to be grateful and happy. Can we talk about how this only has five retweets? Regardless, inspiring us to climb higher and achieve more. 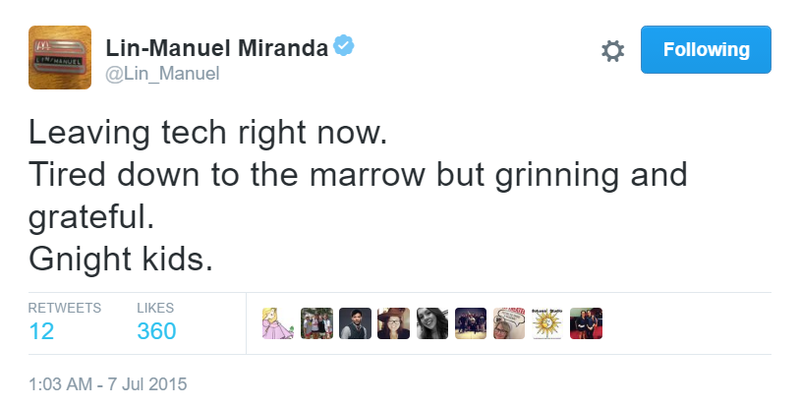 And finally, a tweet referencing A Chorus Line to show his true musical theatre nerdism. 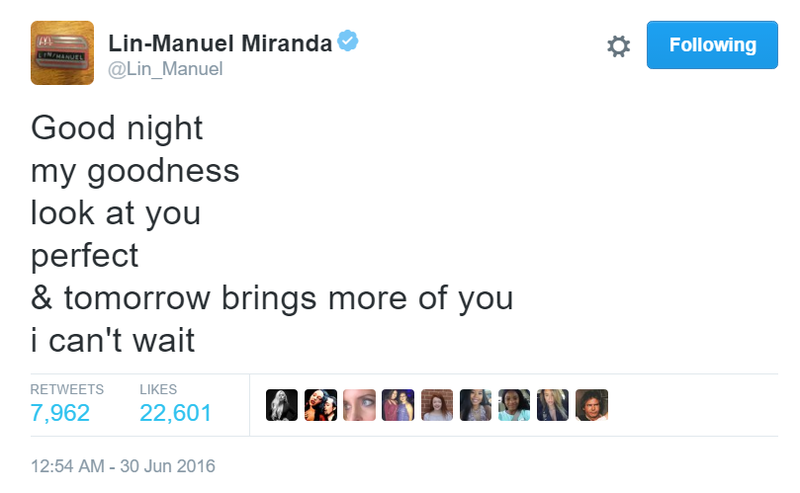 I think it's safe to say that Lin-Manuel Miranda has definitely been given the chance to dance for us, and he is seizing that chance with every opportunity.